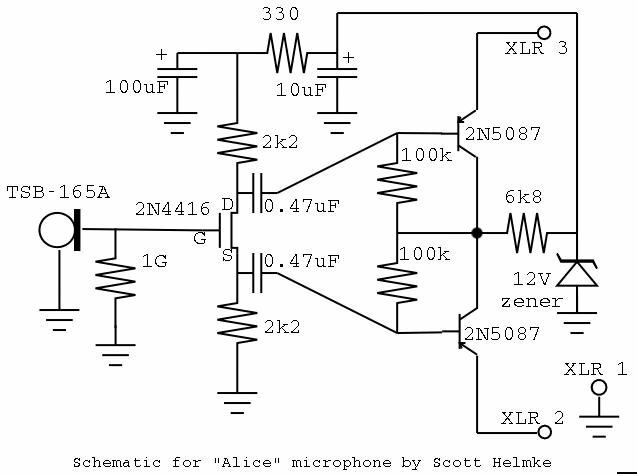 Alice mics are available for purchase! 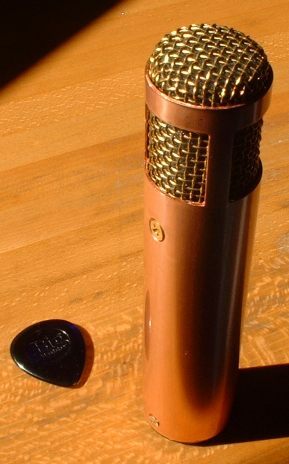 This mic is based on Transound TSB-165A cardioid electret capsule. 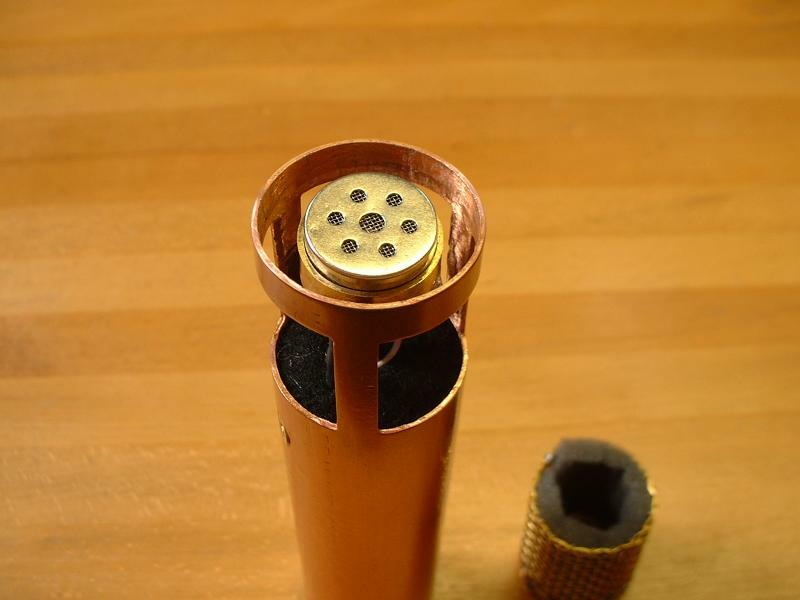 This is a more "professional" capsule, requiring an external FET. More complicated to use, but much better sound quality than the other capsules I've used. 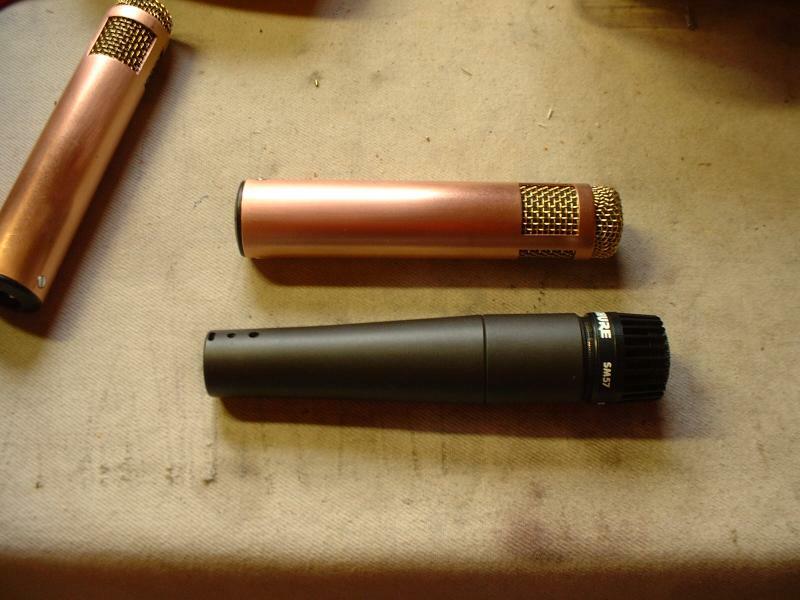 Construction is similar to my stereo mics, using 1" copper water pipe. 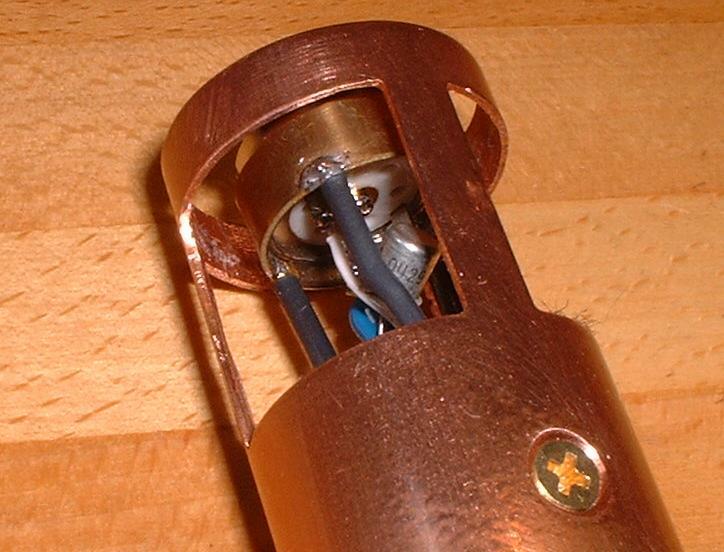 A slight innovation eliminated a couple of external screws; the capsule-mounting plug is glued in place inside the tube (pictured is the prototype, which still has the screws). Overall things are a fairly tight fit, since the capsule is 16mm in diameter and there isn't a lot of space for the circuitry. The phantom-powered circuitry is similar to the usual phantom circuit, with a couple of changed values and the addition of a FET and a 1Gohm resistor. One complication is that the extremely high impedance section is affected by moisture, and had to be "conformance coated" to seal humidity and breath moisture out. 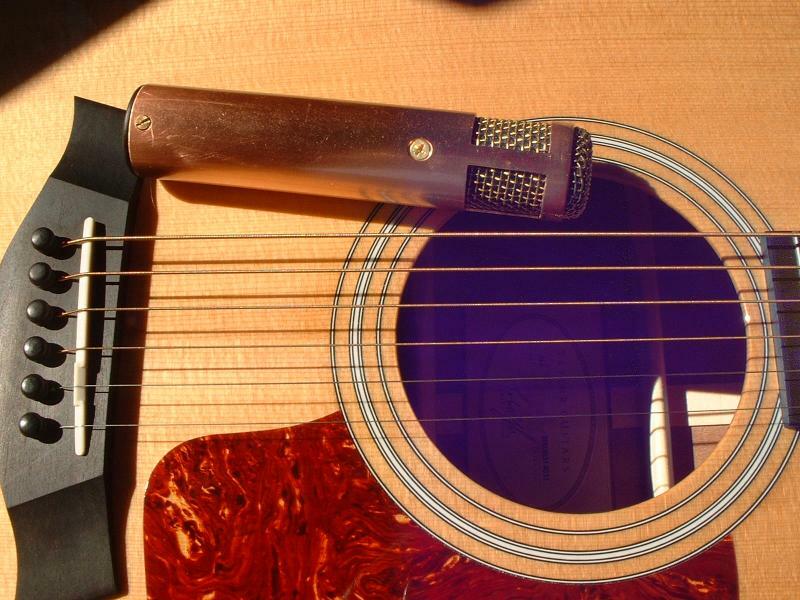 Somehow it's hard to convey the actual size in photos... that's one reason why this mic is named "Alice". Somehow it seems both big and small, but the actual size is roughly 1.25" (30mm) diameter by 5.5" (140mm) long. 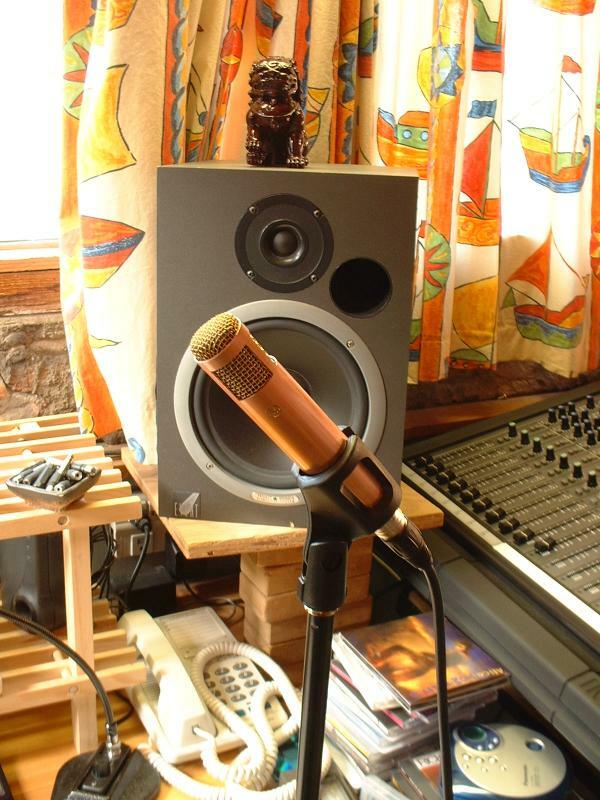 Back to the microphones page.